Killearn Hospital itself was one of five facilities commissioned in 1938 in preparation for the war, deliberately located outside Glasgow where it was perceived it would be safer. The hospital catered for air raid casualties from Glasgow and Clydebank, as well as receiving war wounded servicemen, prisoners of war, and essential war workers. It played an important part in the Clyde Valley Scheme for urgent treatment and care of war workers and was also used for emergency cases from the surrounding population. By the end of the Second World War it had 640 beds and neuro-surgical, orthopaedic and peripheral nerve injury specialist unit. In 1948 it joined the National Health Service under the Board of Management for Glasgow Western Hospitals. The location of the hospital, 15 miles North West of Glasgow, caused it to be rather isolated and inconvenient for patients and their families so over a period of years parts of Killearn’s work were transferred elsewhere. The hospital eventually closed in 1972. 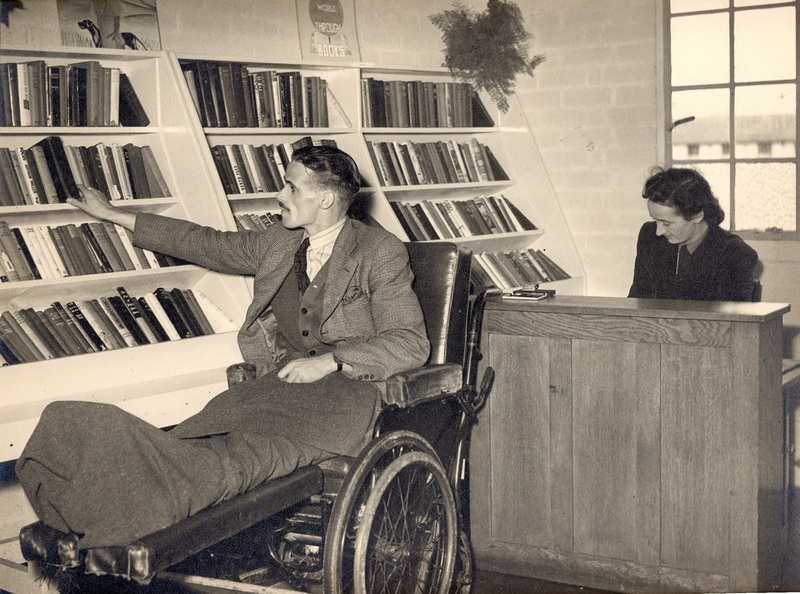 These two images show Killearn Hospital Library with patients accessing reading material. The Library was provided by Stirling County as part of its libraries provision, and these images which were specially commisioned by the Council must date from the late 1940s or early 1950s.